Left-handed pitcher Clayton Kershaw had anticipated that he was ready to open the First Game of the World Series and demonstrated it with great work on the mound that allowed his Los Angeles Dodgers team to beat the Houston Astros 3-1 . But not only did he win but also convinced and even put historical numbers in a match that beat the temperature mark with 39 degrees Celsius on the field before the cry of “play ball”. With 54,253 fans attending the Dodger Stadium bleachers – the mainstay for an Autumn Classic game in 14 years – Kershaw made a dream debut by pitching for seven full innings, spacing three hits , with a single run allowed and withdraw 11 rival batters via the punch. The only damage done to Kershaw was a solo homer off third baseman Alex Bregman in the fourth, which produced the partial 1-1 draw on the board. All the protagonists of the party admitted the decisive role that Kershaw played in silencing the explosive batting of the Astros, as did the bullpen of the Dodgers, who confirmed all the class he owns. Dodgers rider Dave Roberts praised the cleansing and perfection of each pitch by Kershaw, a three-time Cy Young National League MVP award winner and MVP of the Old Circuit in 2014. Roberts’ definition is the best one can do in professional baseball from the work that a pitcher does from the mound. Kershaw’s 11 strikeouts were the best markup for a World Series starting pitcher since Hall of Famer, also left-handed Randy Johnson, in the 2001 Second Game of the Year with the Arizona Diamondbacks. Plus it’s also the highest total in a First Game since Cooperstown’s equally immortal Bob Gibson set the all-time record for any Fall Classic game with 17 in the first clash of the 1968 Series. All that Kershaw did against the Astros, the team that scored the most Major League races and struck less frequently during the regular season of 2017. “He made quality pitches,” said the second baseman of the Astros, Jose Altuve of Venezuela. “It was not easy at all. Sometimes we have to take off our cap and that was the case with what we saw tonight for what Kershaw did from the mound. As he has done so many times in a brilliant 10-year career with the Dodgers, Kershaw set the tone from the mound and was a true trump card. The result was the first win in a World Series game for Los Angeles since 1988, when the Dodgers defeated the Oakland Athletics in five games to be crowned champions. 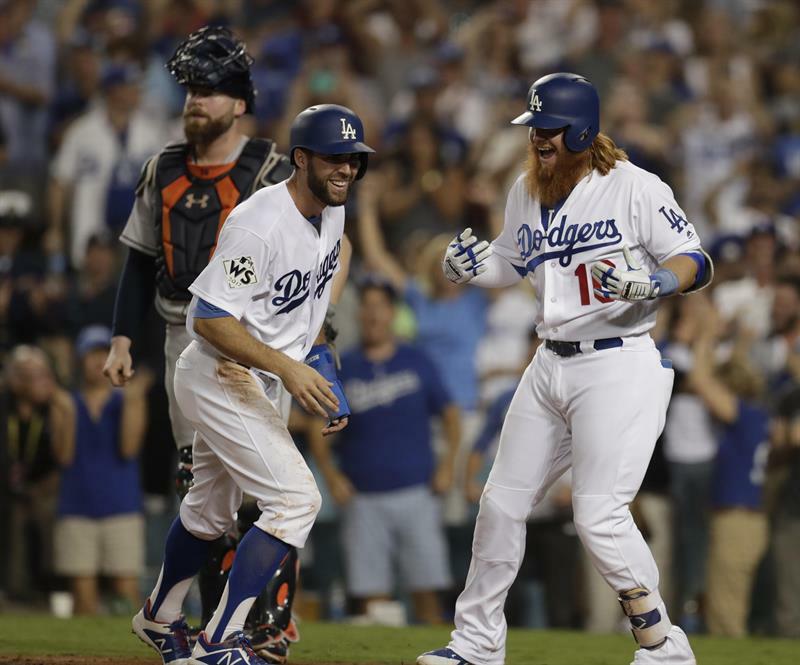 Kershaw also won the individual duel to another Cy Young award, as southpaw Dallas Keuchel, who opened for the Astros and loaded with the loss despite keeping the game tied 1-1 to the bottom of the sixth when it emerged the timely batting of Justin Turner, who made the difference.